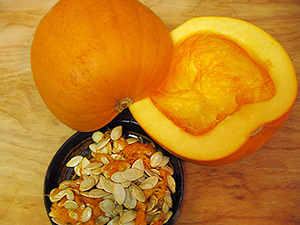 If using a fresh pumpkin, split the pumpkin, scoop out the seeds, and roast face down on a baking sheet until tender. 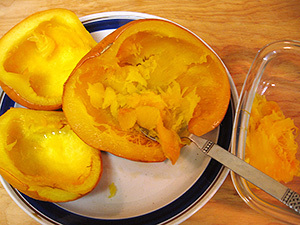 After baking, scoop out the tender flesh of the pumpkin. Lightly grease and flour two 9 x 5″ bread pans. Preheat the oven to 350ºF (175ºC). Peel and chop the apples, and set aside. Puree the baked flesh of the pumpkin in a food processor. Mix together flour, salt, baking soda and spices in a large bowl until well blended. 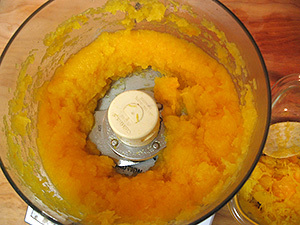 In a separate large bowl, beat together the pureed pumpkin, oil and sugar. Add the eggs and beat until smooth. Fold in the apples. Add the dry ingredients slowly, stirring by hand with a wooden spoon until well combined. 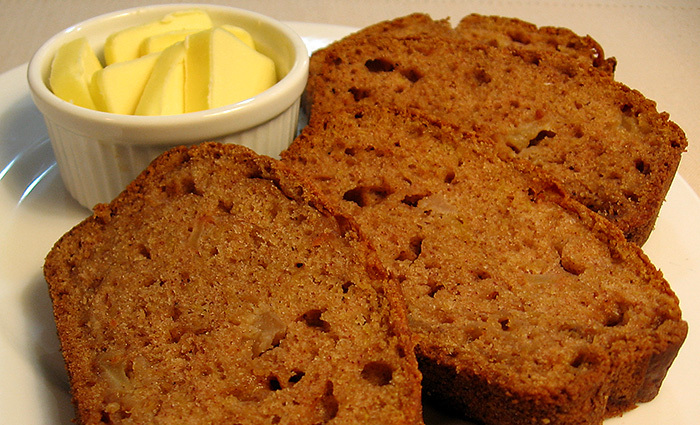 Pour the batter into the prepared loaf pans. If desired, sprinkle lightly with more cinnamon. Bake for approximately 50 minutes until a crust forms at the top and a toothpick inserted into the bread comes out clean. Cool on racks.